You are currently browsing the Western Custom blog archives for February, 2011. What better way to accent a Vintage Style bathroom than to cap the toilet bolts with Period Style Toilet Bolt Covers. These are available as an alternative to the plastic caps and covers offered by most hardware stores. They are available in a variety of styles, sizes and shapes. Preparation usually requires cutting the toilet bolt length to a size that will accommodate the porcelain cap. A hack saw or Dremel™ Tool may be used for that purpose. Use something to shield the side of the toilet bowl, in the event the tool should slip. 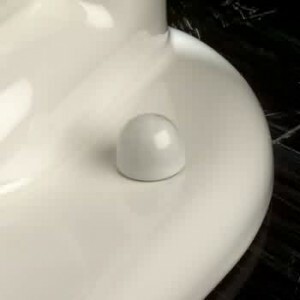 This will prevent accidental marring of the toilet bowl.These are easily installed by using a small bead of white or clear 100% silicone caulk applied to the underside rim of the cap. Carefully position the cap before making contact with the toilet base. Gently set into position. Once the caulk sets up (usually overnight), these caps will dutifully remain in place until they need to be removed. Removal just requires cutting around the silicone seal with a single edge razor blade or razor knife. Add period authenticity to your Vintage Bathroom.